Irish second-row Quinn Roux has emerged as a major concern for Connacht's crucial PRO14 decider against Cardiff Blues this Saturday due to illness. Munster coach Johann van Graan says that securing his backroom team is now his priority after committing to the province for the next three years. 'Train how you play' has increasingly become a familiar mantra and at Leinster they are backing the quality of their sessions as suitable preparation for a semi-final against Toulouse. The prospect of the best team in the league playing the most improved team on a lovely evening would be enough to drag in a few casuals with time on their hands. Conor Murray recovered from a head injury to score the bonus-point try for Munster at Irish Independent Park as the home side maintained their hopes of top spot in Conference A.
Ulster were brought back down to earth with a thud as they were humbled 30-7 by the Glasgow Warriors at Scotstoun Stadium on their return to the Guinness PRO14. Leinster coach Leo Cullen has charged his much-changed line-up to take their chance against Benetton at the RDS tomorrow night. Max Deegan will start at number seven for Leinster in tomorrow evening's Pro14 clash against Benetton. Jacob Stockdale and Luke Marshall will both start for Ulster in tomorrow night's Guinness PRO14 tie against Glasgow Warriors (kick-off 7.35pm). Andy Friend does not want to choose between a tilt at the Guinness PRO14 title and a run to the Challenge Cup final in Newcastle in May. Ulster spluttered somewhat in leapfrogging over Benetton in the chase for a Guinness PRO14 knock-out spot. Ulster leapfrogged over Benetton into Conference B second place as their PRO14 play-off hopes continued with a ragged five-try victory. Munster had to dig deep to stave off a shock loss to Zebre at Thomond Park. Zebre were well worth their 12-5 interval lead against a misfiring Munster side who struggled to get into the game and were guilty of basic errors against a side they had beaten in all 13 previous encounters. Jack Carty marked his return to the Sportsground after his Irish breakthrough by becoming the province's top scorer. Jack Carty marked his return to the Sportsground after his Irish breakthrough by becoming the province’s top scorer. 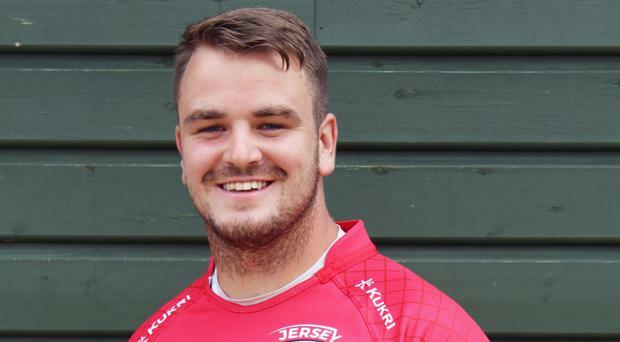 Johann van Graan insisted Munster remain in fine fettle despite being toppled from the top of Conference A following a defeat in the rain in Llanelli. Connacht put the ill-disciplined Ospreys to the sword in a six-try 46-5 win at the Sportsground which keeps them in the hunt for the Guinness PRO14 play-offs and Champions Cup qualification. Leinster limped their way to the PRO14 semi-finals with a routine win at the RDS last night. Leinster clinched top spot in Guinness PRO14 Conference B and a home semi-final with a 19-7 victory over the Toyota Cheetahs at a rain-hit RDS.